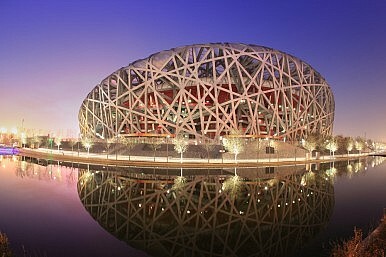 The "Birds Nest" stadium in Beijing will be reused for the 2022 Winter Olympics. Plus, anti-corruption continues, Chinese loggers freed, and the “why” of China’s island-building. Friday China links. Xinhua covered the news in detail, providing an overview of the victory and providing quotes from Party leaders (including Xi Jinping) hailing the announcement. “To present a fantastic, extraordinary and excellent Winter Olympics is the aspiration of over 1.3 billion Chinese people,” Xi told the IOC in a letter. Not everyone was so thrilled. Human rights groups, in particular, had warned the IOC not to award China the games while the country is in the midst of what Human Rights Watch called its worst rights environment “in the last two decades.” The Los Angeles Times has more on concerns from rights group, which argue that China’s human rights record has grown worse, not better, since the country hosted the 2008 Summer Olympics. “The decision for Beijing over Almaty is the biggest mistake the IOC could make,” John J. MacAloon of the University of Chicago told the paper. Still, despite concerns about Beijing’s bid, the IOC saw it as a safer choice than Almaty. Kazakhstan has never hosted the Olympics and there were some concerns about its ability to do so (and to pay for the event, as Catherine Putz noted). Plus, Kazakhstan is hardly a model of human rights itself. Beijing was viewed as the safe, reliable choice – something Chinese representatives played up in their bid. In other news, People’s Daily ran a commentary pointing to the ouster of General Guo Boxiong as proof of China’s determination to weed out corruption. As has become customary, Chinese media pointed to the fall of Guo as a demonstration that no Party member is high-ranking enough to escape punishment. In an update to a previous story, Myanmar freed 155 Chinese loggers (153 of whom had been sentenced to life in prison) as part of a mass amnesty, where nearly 7,000 prisoners were granted pardons. China, which had urged Myanmar to release the loggers, welcomed the move. Finally, the Washington Post has an article on the slang Chinese netizens use to avoid online censorship. Among the entries: “check the water meter” (抄水表) means to have the police pay you a visit at home. China Digital Times has its own running list of online phrases and their meaning, the “Grass-Mud Horse Lexicon” (the name itself is a reference to one of China’s more famous online slang terms).